Conservation and promotion of the use of genetic resources for food and agriculture, as well as for the purpose of breeding, are vital to a) ensure global food security, b) advance sustainable production, facilitate adaptation to climate change and new pests and diseases, and c) promote rural development. 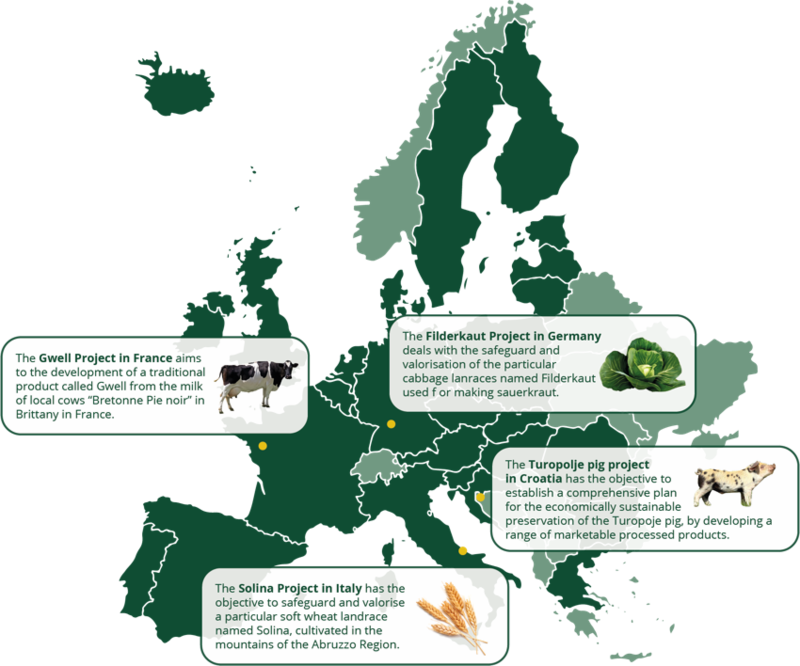 Thus, the EU Biodiversity Strategy to 2020 emphasises a sustainable management of genetic resources, including an action to conserve Europe’s agricultural genetic diversity. This is done by encouraging the uptake of agri-environmental measures for the conservation of genetic diversity. Furthermore, the evaluation of the second Community programme on genetic resources in agriculture underlined the need for further action to enhance conservation of genetic diversity within agriculture, and to promote sustainable use of traditional varieties and breeds so as to make conservation economically viable. Following an initiative tabled by the European Parliament, the European Commission (DG Agriculture and Rural Development) contracted two “Preparatory action on EU plant and animal genetic resources in agriculture”. The projects were launched in July 2014 for a period of five years. The preparatory action is intended to provide (different categories of) stakeholders with concrete examples to valorise the use of neglected breeds and varieties in an economically viable way. Therefore, this preparatory action should enhance the willingness of stakeholders to invest in neglected agricultural genetic resources in both plant and animal domains and to provide success stories and valuable tools.to secure optimal investment. The preparatory action builds on past experience and present circumstances. It takes into account the lessons learned from comparable projects under relevant policies, especially but not limited to those under agriculture, regional, research and innovation policy. The compilation of a compendium of projects. The deployment of a communication campaign including the production of a video clip, a conference to present the results of the preparatory action, and other additional communication tools. identified missing links, and actions to be addressed in future actions regarding the conservation and sustainable use of genetic resources in agriculture and forestry. This analysis may contribute to developing a strategy for the conservation of genetic diversity in the EU. Microbial & invertebrate genetic resources. Link to the main deliverables of the first preparatory action.